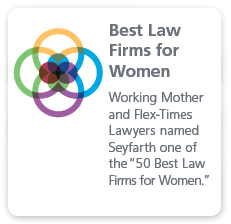 Seyfarth Shaw’s antitrust and trade regulation attorneys advise and represent businesses that seek to remain competitive and compliant with the antitrust laws in an evolving economy. 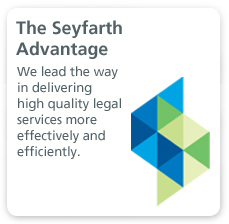 Seyfarth provides innovative solutions to sophisticated and complex antitrust problems through preventative, thoughtful analysis and advice. Our attorneys assist clients with a variety of regulatory questions and are especially strong in applying traditional antitrust principles to emerging technologies, the Internet and telecommunications. When litigation ensues, we approach matters in an aggressive yet cost-effective style, constantly pursuing positive outcomes for our clients. We are always ready to take our cases through jury verdict and appeal, but also ready to help our clients work through alternative dispute resolution to achieve desired results. We have a good track record of obtaining favorable results for clients involved in civil and criminal antitrust investigations and trials. Our work crosses many industries, including health care, aviation, automotive, retail, hospitality, construction, music and entertainment, agriculture, technology, media, and insurance, among others. We offer personalized service that is backed by the resources of a large, national full-service firm that works collaboratively in cross-disciplinary teams. 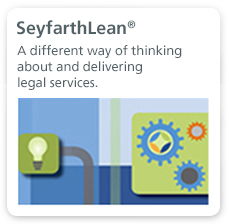 Using SeyfarthLean principles and practices, we are able to provide preventative and proactive advice, respond to government investigations, and conduct effective and creative civil and criminal litigations and trials in ways that minimize the potential liability for the client, while controlling costs and maintaining maximum focus on achieving the clients’ objectives. Our attorneys help you navigate complex data requirements.